If ever there was a place where nature and man conjured to create their dearest image, it must be the Paro Valley. 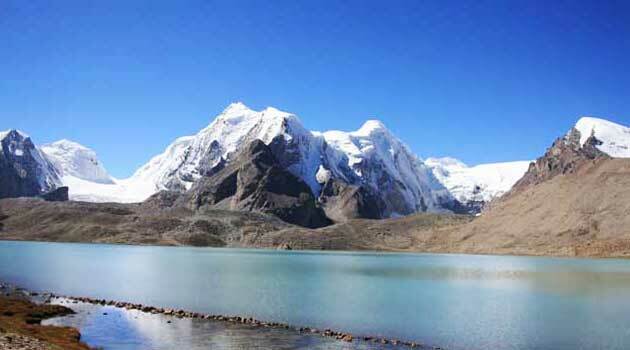 To the north Mount Chomolhari (mountain of the Goddess) reigns in white glory and the glacier waters from its five sister peaks plunge torrentially through deep gorges finally converging to form the Paro River that nourishes the rice fields and fruit orchards of Paro valley. Takshang, literally meaning Tiger's Nest, built around a cave in which Guru Rimpoche (Padmasambava ) meditated, clings seemingly impossible to a cliff of rock at 3,000 feet (800m.) above the valley floor. For local people it is a place of pilgrimage, but for a tourist, a hike to the viewpoint opposite the monastery in exhausting, thrilling and mystical. Across the river, on a cliff that rises from the river, stands the elegantly symmetrical Rinpung Dzong. Built in 1646 by Shabdrung Ngawang Namgyal, the first temporal ruler of Bhutan, it now houses the Paro monastic body and the office of the Dzongda (governor ) and Thrimpon (Judge) of Paro district. It is the venue of the Paro Tsechu ( festival) held once every year. Behind Rinpung Dzong, on the high hillside, is the castle shaped Ta Dzong. This one time watchtower built to defend Rinpung Dzong during civil wars among many temporal rulers of Bhutan in the 17th century, has been the National Museum since 1967. Eighteen kilometers from the small town of Paro are the burnt ruins of Drugyel Dzong (Victorious Fortress) from where Bhutan repelled several invasions by Tibet. The only international airport of Bhutan is also located in Paro. Thimphu, the capital of Bhutan lies at an elevation of 7,600 feet in a valley transversed by the Thimphu River. Tashichho Dzong, the main secretariat building houses the Throne Room of the King of Bhutan, the summer residence of the Central Monk Body and the National Assembly Hall. The city of Thimphu is nothing like what a capital city is imagined to be. 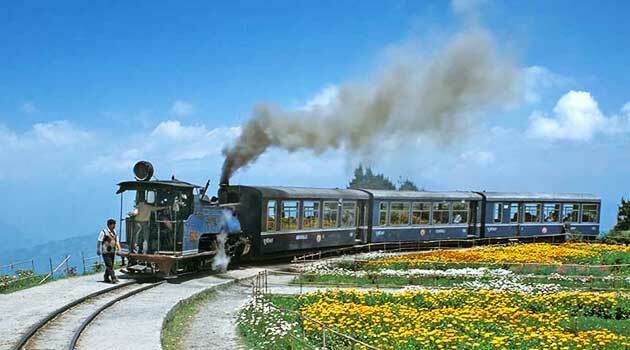 Nevertheless, for Bhutan it is a fitting and lively place. The shops vie with each other, stocked with varieties of commodities ranging form cooking oil to fabrics. 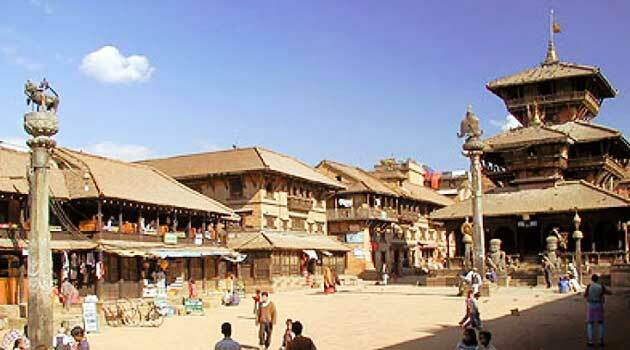 Old wooden houses stand side by side with newly constructed concrete buildings, all painted and constructed in traditional Bhutanese architectural style. The Handicrafts Emporium displays a wide assortment of beautiful handwoven and crafted products. Prominently standing out in Thimphu is the National Memorial Chorten (stupa), a monument dedicated to the Third King of Bhutan popularly known as the Father of Modern Bhutan. The paintings and statues inside the monument provided a very rare insight into Buddhist philosophy. Five miles away from Thimphu stands the Simtokha Dzong on a lofty ridge. Built in 1627, this oldest Dzong in the country now houses the School For Buddhist Studies. Other places of interest are the School Of Traditional Painting, the Indigenous Hospital, the National Library and the Gold && Silversmith's Workshop. Blessed with a temperate climate and drained by the Phochu (male) and Mochu (female) rivers, the fertile valley of Punakha served as the capital of Bhutan and even today, it is the winter seat of the Je Khenpo (Chief Abbot) and the Central Monk Body. In 1667, Shabdrung Ngawang Namgyal built Punakha Dzong at the junction of Phochu and Mochu rivers to serve as both the religious and administrative center of Bhutan. Punakha Dzong houses many sacred temples including the Machen where the embalmed body of Shabdrung Ngawang Namgyal lies in state. Damaged four times by fire in the late 18th century and early 19th century and by earthquake in 1897, the Dzong was completely restored by the present King. The drive from Thimpu to Punakha crosses the high Dochula Pass, site of one of Bhutan's most enchanting views. From this pass, the breathtaking peaks of Bhutan's northern border can be viewed and within sight of alpine snow is a magnificent canvas of color ? a profusion of red, pink, white yellow and purple rhododendron blossoms splashed among the soft green of wild herbs and forest trees. 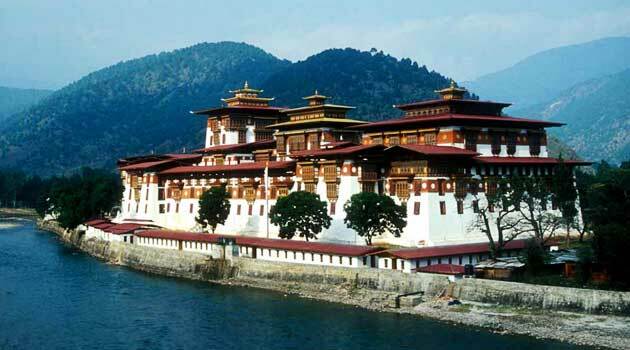 Towards the south of Punakha valley lies the valley of Wangdi Phodrang and the confluence of Mochu and Tangchu rivers stands the impressive Wangdi Phodrang Dzong. The higher reaches of the valley provide rich pasture land for cattle. Phubjikha in Wangdi Phodrang is the winter retreat for the rare Black Necked cranes. The district is also known for its fine bamboo work including slate and stone carvings. (* also spelt as Wangdue Phodrang). Midway between Ha in the far west and Tashigang in the far east stands the striking Tongsa Dzong, the ancestral home of Bhutan's Royal Family. Both the first and second kings of Bhutan ruled the country form this ancient seat. All four kings of Bhutan held post of Tongsa Penlop (honorary post of Governor) prior to being crowned the king. A massive structure with many levels that slopes down the contour of the hill on which it is set, the Tongsa Dzong was built in 1648 and later enlarged and decorated. Because of its highly strategic position on the only connecting route between the eastern and western sectors (the trail actually running through the dzong), the Tongsa Penlop was able to control the whole of the eastern region effectively for many centuries. To the east of Tongsa lies the wide valley of Bumthang where the tales of Padmasambava dominate the holy places. The valley is home to the scared Jambey Lhakhang (monastery) and to the Kurjey Lhakhang where the bodily marks of Padmasambava remain to this day impressed on a solid rock face. Both the temples are believed to have been built in the 8th century by Sindhu Raja after Padmasambava had cured this ailing ruler and converted him to Buddhist faith. Along the highway between Bumthang and Mongar is the beautiful village of Ura. A visit to this village and the Ura monastery will give visitors an insight into the life?style of the people of Central Bhutan. Mongar is the site of one of Bhutan's newest Dzong, built in 1930 following the traditional architectural pattern handed down through time, without any plans on paper or the use of any nails. A visit to this Dzong gives visitors an impression of how over the centuries traditional Bhutanese architecture has continued to flourish to this day without any change. In the far east of Bhutan, on the banks of Dangmechu, lies Trashigang, the country's largest district. Once the center of a busy trade route with Tibet, Trashigang is today the junction of the eastern corners of the kingdom with India with a road connecting to the border town of Samdrup Jongkhar. Vividly colored handloom cloth and endisilk spun from cocoons bred from castor oils plants, are local specialties. Other places of interest area Chorten Kora in Tashi Yangtsi, Khaling Handloom Center and the Radi Village which is the gateway to Merak and Sakten in the easternmost part of Bhutan.